In this year's Scholastic Writing Awards, Archmere Academy won 6 awards, one of which was a Gold Key. Works submitted were eligible for Honorable Mention, Silver Key, Gold Key and American Voices Nominee recognition by the Delaware Writing Region. 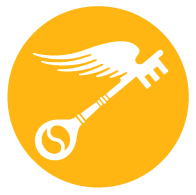 Works awarded a Delaware regional Gold Key are submitted to be considered for national honors. The Awards program was created in 1923 by Maurice R. "Robbie" Robinson, founder of Scholastic Corporation, and has been administered by the Alliance for Young Artists & Writers since 1994. It has an impressive legacy and a noteworthy roster of past winners including Andy Warhol, Frances Farmer, Sylvia Plath, Truman Capote, Richard Avedon, and Joyce Carol Oates among many others. The work of Archmere's Gold Key winner, senior Katherine Alberta, has been entered into the national competition, and all of the writers will be recognized in Dover next month at the Art Center Gallery at the Delaware State University. Full texts of Gold Key written works will be available in print in the Gallery. The full text of Silver Key written works and Gold Key works will also be available for browsing on Kindles.